What are Google Tappable Shortcuts and how good is Pinterest Lens? This week has certainly been eventful and we are all deeply saddened by the events that took place in London. We hope that all those who were injured make as speedy and full recovery as they can. 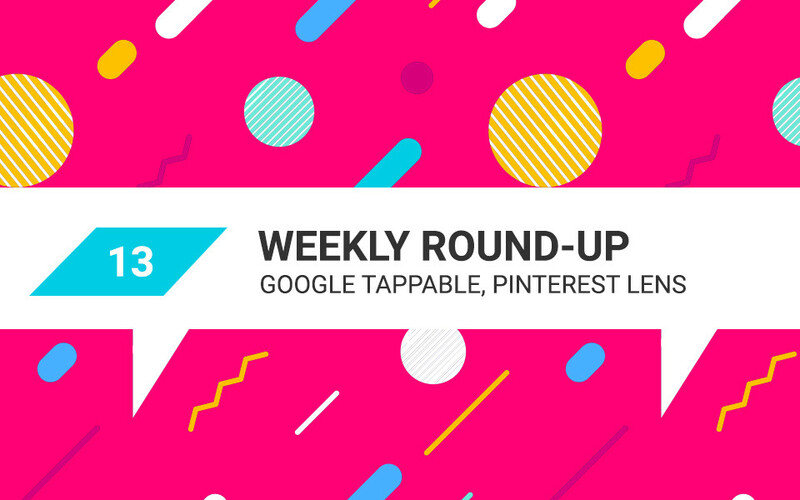 Meanwhile, Friday is here and it’s that time of the week when we give you a roundup of digital marketing news. We have a lot to report about Google this week. First up.. Earlier this week, it came to light that big name advertisers were becoming upset that some of their advertising was appearing on less than savoury Youtube videos such as those published by extreme political groups. Furious that their brands were being associated with hate groups, many large brands have suspended their advertising accounts with Google. 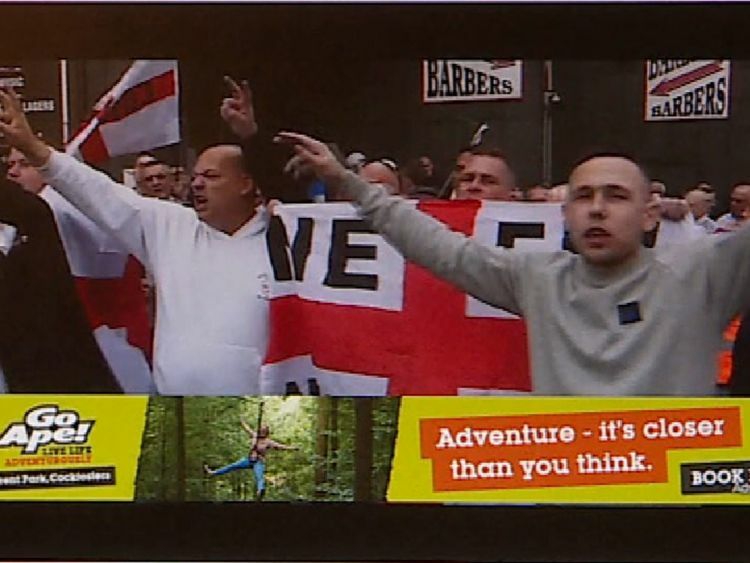 Outdoors adventure company, Go Ape, went ape when they were alerted by a Sky News Business correspondent that some of their advertising had appeared alongside English Defence League (EDL) videos. They also shelved all Youtube advertising. The problem is that advertisers can not accurately predict how an advertisement will appear and so the possibility has always been that they may pop up somewhere inappropriate. Now that the list of companies taking similar action to M&S and Go Ape, including the likes of McDonald’s UK, Tesco and Sainsbury’s, Audi UK and more is growing, Google is under pressure to fix the problem. Mr Brittin has announced that Google has already spent millions on trying to ensure “bad advertising doesn’t get through” and is now focusing on how it defines hate speech and inflammatory content, and going the extra mile in removing “bad content” – no mean feat when there are around 400 hours of content uploaded to Youtube every minute! The firm has also said it will try to simplify the controls available to advertisers. We can’t make the world a better place overnight, but our digital world will definitely be fresher without hate videos so we wish Google well with that. Mobile-first: is your site mobile responsive yet? 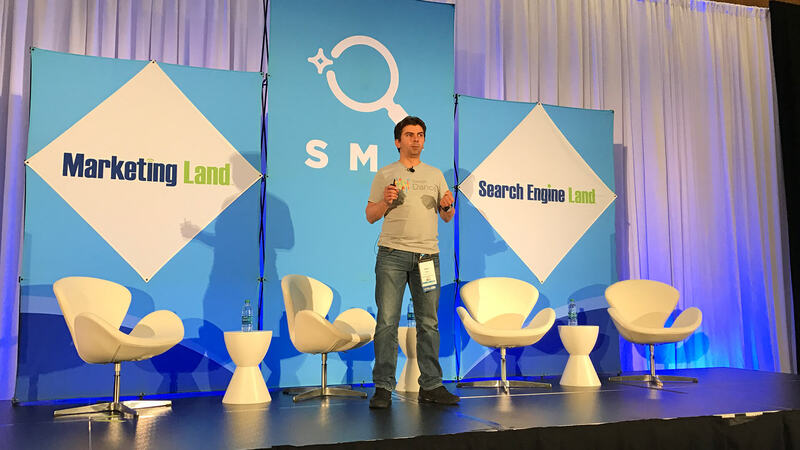 “Don’t freak out” (yet) is the message from Google’s Gary Illyes at the SMX West conference on Wednesday. He was, of course, talking to SEOs and webmasters who may have been worrying over the imminent switch to a mobile-first index. Illyes made it clear that the Google team do want to roll it out this year but it is not going to happen within weeks. It may be a matter of months or even quarters away. However, that is no reason to relax. When it does come out, sites that are not mobile responsive will very quickly become irrelevant. For those who haven’t made the important change, remember it isn’t just a matter of Google rankings. It is about making sure that people who are interested enough in your brand get a good experience when they visit your site. On Tuesday this week, Google announced the launch of “shortcuts in search”, which it is calling “tappable shortcuts”. These will allow Android users to access quick access on a range of subjects with only the touch of a button. No need for typing. No need for speaking. The new feature, which is only going to be available to users with the Google app within the US for now, will open the door for searchers to gain instant information on loads of topics such as sports, restaurants and entertainment. Users will of course have to upgrade to the latest version of the app to use it. Google released this video to show how easy the function is to use. Its release is no surprise really as Google continues to release new mobile-first products that are at least in line with and sometimes ahead of user behavioural trends. But what does this mean for marketers in terms of search. Clearly this has implications for marketers involved in search. There’s no point being too obsessed with the specifics at this stage as, since Google is concerned with delivering its users with the most relevant search results that offer the best user experience, we should continue to focus on ensuring we consider those factors in all that we do. 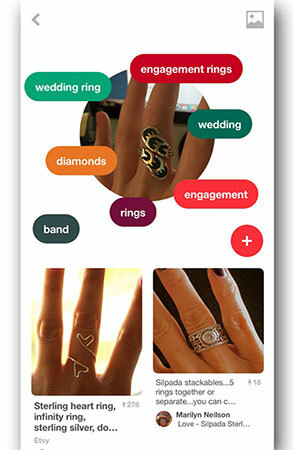 It’s coming to the UK soon, but just how good is Pinterest Lens? Pinterest announced that it was rolling out this new feature called Lens in February and it is currently available to users in the US only. The idea behind it is very smart and it is easy to use. Once you have enabled the permissions, you can point your camera at something you are interested in – a pair of shoes for example – and you will see the object in a “lens” on the screen of your camera. As if by magic, a number of coloured dots start to circle around the image and then form into small bubbles displaying items that the app thinks you may also be interested in. Lens comes on the back of a range of search and eCommerce products that come under the umbrella term of “visual discovery tools”, which allow users to find things “all without typing a single character”. Looks like users in the US are spoilt for choice with this app and Google’s tappable search. The technology that Lens is using is not new. Amazon can do something similar, as can Instagram and Google. What is different is that Pinterest’s Lens is making value judgements. As users make use of the feature, Lens will learn about their tastes and preferences and become more intelligent in the suggestions that it offers to them, constantly improving the user experience. One writer at Search Engine Watch has written a review on how the feature works which makes for an interesting read. The review points out that the associations provided by Lens are mostly relevant to the image being focused on. What is noteworthy is that sometimes a click on an associated keyword will take the user through to a site where a product can be purchased but not always. This is important. Clicks will sometimes just go through to other Pinners’ images. Why is this important? Credibility. Back in the days when printed magazines were king, nobody wanted to read through a publication that was only populated by paying advertisers. Genuine editorial would give a magazine credibility and trust. The feature could definitely benefit advertisers who play it smart. What about measurable results though – something that Google has really nailed down? 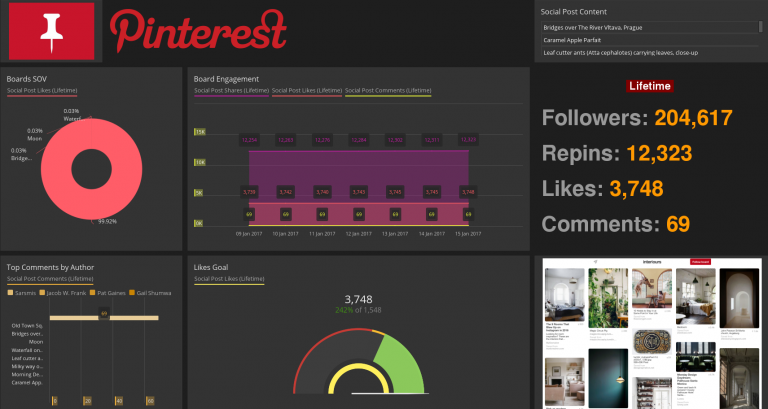 Well, some of you will be aware that an API connector has recently been announced that will integrate Pinterest data in Datorama. This brings much needed and a welcome level of measurement and accountability to the platform so perhaps advertisers could be tempted to shift at least some of the Adword spend to Pinterest. All in all then, the feature gets a thumbs up, at least for the moment. Will it be rolled out in the UK and elsewhere? Time will tell but let’s see how it gets on in the US first. It’s been an interesting roundup to research this week and there are undoubtedly some excellent features and benefits on the way for users and marketers alike. Where will it all end? When we know, you will be the first to know. The sun’s shining so get what you need done as quickly as possible. It’s a Friday. Time to wind down and chill. We hope you’ve enjoyed the round up. If you need expert help or advise with any aspect of your digital marketing efforts, our friendly team is happy to have a chat with you. Get in touch and let us know what you’re aiming to do.